The UK’s NHS is loved by the British public, while social care is under appreciated and underfunded. The new health secretary is being urged to remedy this to create a system fit for another 70 years. 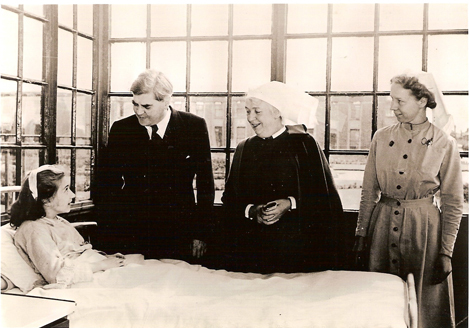 Aneurin Bevan visits a patient at Park hospital in Manchester, on the first day of the NHS on 5 July 1948. Photograph: Don Mcphee; Wikimedia, University of Liverpool Faculty of Health and Life Sciences. The UK National Health Service (NHS) marked its 70th birthday on 5 July, and the special anniversary was met with an outpouring of gratitude and love from the British public, for whom it is one of the country’s most cherished institutions. However as we move on from these appropriate celebrations and the last crumbs of the NHS birthday cake have been eaten, questions about its long-term future and how it can adapt to some huge challenges remain very present. NHS England chief executive Simon Stevens was interviewed on the BBC’s Today programme to mark the anniversary, and to talk about the health service’s future. While outlining the progress made over the decades, such as steep declines in heart deaths and infant mortality, he conceded that more improvements would be needed in the coming years. Stevens praised the “brilliance” of the NHS staff who make the service work and welcomed the recently announced funding increase as a ‘gear change’. He concluded that there was no reason the health service couldn’t continue to improve outcomes and adopt new technologies and techniques towards this goal – but independent experts warn that a lack of money will present some serious challenges. The 70th birthday has generated much debate not just about the history and the present condition of the NHS, but also, of course, its long-term future. Many of these concerns are rooted in the funding of the NHS in England, which has seen its budget growth restricted to an historic low over the last five years. This still leaves it in line with an unweighted EU-15 average of 9.8% of national income, but far behind countries such as the US (16.9%), Japan (11.2%), Germany (11.1%) and France (11%). The UK government agreed to a five-year funding deal that will see NHS funding increase 3.4% a year on average, up from 2.3% per year over the last five years – although that is still below the 4% that the Institute of Fiscal Studies (IFS) recently said would be necessary to cope with rising demand and to ‘modestly’ improve. Prime Minister Theresa May recently suggested that the increase in spending on the NHS would come in part from a ‘Brexit dividend’. That notion has been dismissed by most independent experts, who forecast that Brexit will continue to have negative impacts on the economy, which is likely to trump any money saved from EU contributions. This means that the additional cash will have to be raised from higher taxation, and the government is preparing voters for a tax rise in the autumn. Just how good is the NHS? A joint report from the King’s Fund, Nuffield Trust, Institute for Fiscal Studies and The Health Foundation: How Good Is the NHS? was launched to mark the special anniversary, and took a dispassionate look at the strengths and weaknesses of the NHS. Examining all the available data, it confirmed the core strength of a tax funded, free at the point of care NHS, which excels at protecting people from having to pay heavy financial costs for their healthcare. It also found, perhaps surprising to some, that waiting times are in line with similar countries and patient experience generally compares well. It also seems to be relatively efficient, with low admin costs and high use of cheaper generic medicines, and also performs well in managing long-term illnesses, such as diabetes. All of this is achieved with slightly lower than the average funding in comparable countries, both in terms of the proportion of national income spent on health care and in terms of spending per person. However, by other important measures, it lags behind: perform less well than similar countries on the overall rate at which people die when successful medical care could have saved their lives. Also 70 years old this year is the social care system, but this isn’t understood or loved in the same way as the NHS. However none of the main stakeholders are in any doubt that reforming health and social care is one and the same challenge. The newly departed, now ex-health secretary Jeremy Hunt conceded recently that health and social care are “two sides of the same coin” and had called on the government and its Treasury department to fund renewed investment in social care. The government has acknowledged this shift by renaming the Department of Health the Department of Health and Social Care – but that’s the easiest part of integration. Key to the future of the health service in England will be the Integrated Care Organisations (ICOs), which aim to bring together health and social care services, both to improve patient care and also to reduce waste and costly hospital treatment. At the moment there are 12 million people in England covered by ICOs and similar organisations and the model is to be rapidly extended across England in the coming years. Richard Horton, the editor of The Lancet, insists in a Guardian article that the NHS should no longer be viewed as a cost but as an engine of growth for the economy through “improved labour supplies, social cohesion and health security”. He added that serious reforms are however needed for the “struggling and outdated” health system, including an end to the referral model of primary to secondary care, tackling social issues that lead to poor health such as poverty, and upgrading the quality of NHS workers. This is a very similar argument to the one put forward by the UK’s life sciences sector, including the pharma industry, which believes faster uptake of new medicines and other technologies will not only improve outcomes and make the NHS more efficient, but will also boost the UK economy. The UK pharma sector and NHS are increasingly willing to work together on mutually beneficial projects to improve patient care, such as Greater Manchester’s health devolution initiatives. However, the increased budget squeeze in England, combined with a wave of new highly-specialised and high-cost drugs is also inevitably causing conflict. The pharmaceutical industry produced a clear example of this, with Vertex spoiling the birthday party mood by saying it was “outrageous” that NHS England has not accepted its latest pricing and reimbursement offer on its cystic fibrosis drug Orkambi. 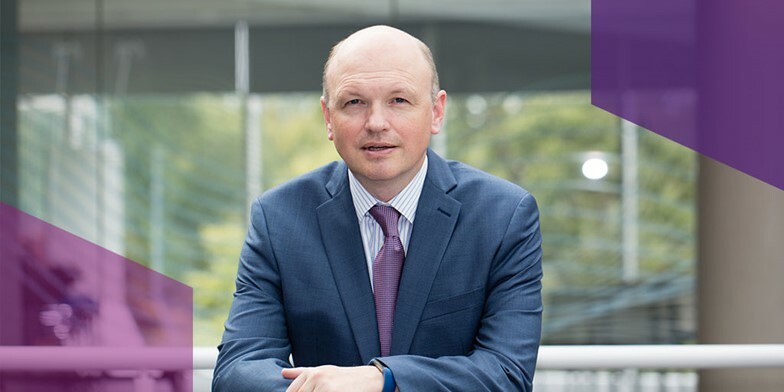 Erik Nordkamp, Managing Director of Pfizer UK and the new ABPI President elect (pictured), struck a very different tone, congratulating the NHS and pledging to work closely with the health service. Nevertheless this year is a crucial one, with three big issues hanging over the relationship: the renegotiation of the PPRS pricing agreement, the planned implementation of the Life Sciences sector deal and, of course, Brexit. Commenting in a blog, Nordkamp said the PPRS agreement had seen the industry contribute more than £2bn to the government over the last five years in rebates and yet “UK patients still experience lower and slower access to new treatments than those in other developed countries”. The latter part of this year will produce answers for these big questions: a final Brexit deal must be agreed between the UK and the EU27 by October, while the PPRS must be finalised by December. The industry will also push for some tangible structures to be put in place to support the Life Sciences strategy as well. Perhaps most significant of all is how the government intends to tackle the rising cost of social care. It has delayed a planned Social Care Green Paper several times this year, but now says this will be unveiled in the autumn as well. Social care hasn’t had the same funding injection as the NHS and has been eroded dangerously by spending cuts over recent years: the King’s Fund calculates that adult social care spending in the UK has fallen by 9.9% between 2009/10 and 2016/17. Meanwhile an ageing population and younger adults with disabilities living longer are putting social care under a huge strain: the think tank forecasts that based on current spending levels, a UK funding gap of £18 billion will open up by 2030/31. Think tanks and health and social care leaders are now calling for more money for social care to support the move towards integrated care. 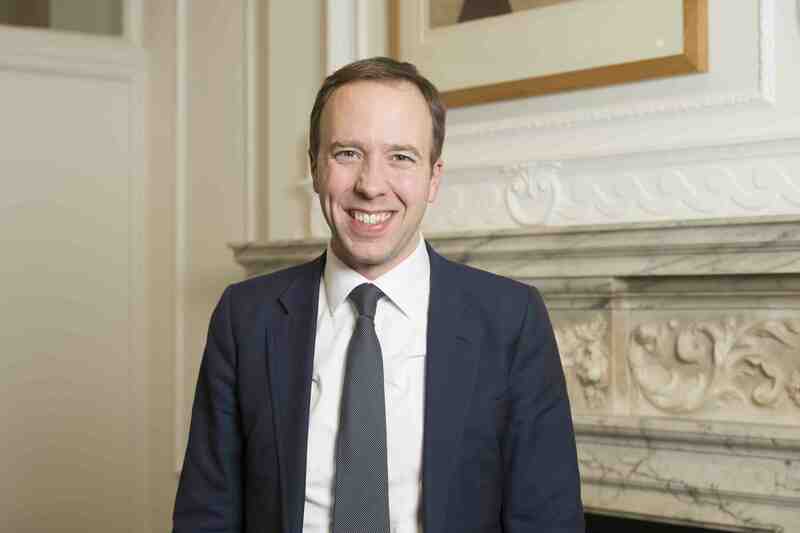 NHS Confederation leaders have written to new health secretary Matt Hancock (pictured above) urging him to ‘grasp the social care challenge’. NHS Confederation chair Stephen Dorrell, a former health secretary, and Chief Executive Niall Dickson are calling for a joint plan that covers both health and care – and for the government to publish the Social Care Green Paper soon. The NHS Confederation, like most other stakeholders, agrees that that money alone won’t solve the problems, and that more integrated services, new ways of tackling unwarranted variation and new technology will be needed to create a sustainable health and social care system for the next 70 years. The UK pharma industry can embrace this challenge by helping the system to adapt, even where there is no direct gain for the sector. That partnership, it is hoped, will create trust – and some financial headroom – to allow for faster uptake of its new medicines as well.